The Horace Mann League (HML) and the National Superintendents Roundtable have published a fascinating report called School Performance: The Iceberg Effect. I would recommend reading the full report but an Executive Summary is also available – both can be found here. They wrote the study because of their concerns about the use of international large-scale education assessments (ILSA) such as PISA to compare countries. As educators, we cringe when newspapers and critics boil down the success of a child, let alone a country, on the results of a test. They cite several research studies which indicate that up to 70% of tested achievement can be accounted for by out-of-school factors. 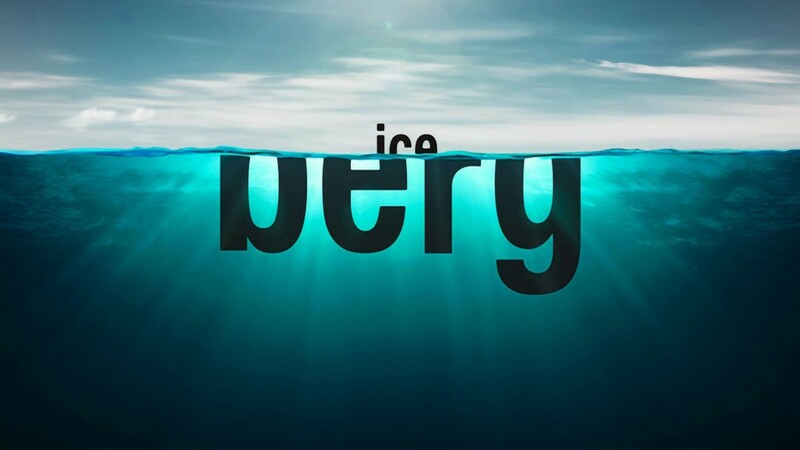 Hence The Iceberg Effect – a tendency focus on the part of the iceberg we can see when the part we can’t see is so much more important. In their report, the part of the iceberg we can see are Student Outcomes (student test results) and System Outcomes (how successfully a country produces educated citizens and skilled workers). The parts of the iceberg we can’t see include Inequity & Inequality, Social Stress & Violence, Support for Schools, and Support for Young Families. Four indicators for each of these six dimensions were defined and then used to rank order 9 countries – the G7 plus Finland and China. What I found most interesting was how the U.S. ranked, compared to these other similar economic powerhouses, on each of the 24 indicators. The U.S. ranked last or second to last on 13 of the 24 indicators! According to the report, “It is the only one of the nine nations with a maroon designation [bottom third in rank] in three of the six dimensions. The results for the United States with regard to economic inequity, social stress, and support for young families—all correlated with school performance—leave a great deal to be desired.” Pg. 18. In fact the U.S. ranked last in Social Stress, last in Support for Families, and second to last in Economic Inequity. The only area in which the U.S. excelled was System Outcomes, where it ranked first in Years of Education Completed, Possession of Secondary Diploma, Possession of Bachelor’s Degree, and Global Share of High Achieving Science Students. Isn’t it a bit ironic that even though the U.S. ranked highest in all four of the indicators in the Systems Outcomes Dimension, reformers keep telling us how bad our schools are? That our students aren’t “College Ready”? In its conclusion the report stated, “Based on the indicators included in this study, it seems clear that the United States has the most highly educated workforce among these nine nations. At the same time, American society reveals the greatest economic inequities among the advanced nations in this analysis, combined with the highest levels of social stress, and the lowest levels of support for young families.” Pg. 43. My takeaway? When reformers like the Gates Foundation wash their hands of social issues and say, “We’re going to fix society by making new types of schools, harder tests, self-paced learning gizmos, and better teachers” they are working on the tip of the iceberg. Where are the gazillionaires who want to donate a couple of $billion to reduce the number of violent deaths, drug deaths, teenage pregnancies, and infant death due to abuse or neglect? To increase pre-school enrollment and extend more benefits to young families? Remember, it was the part of the iceberg they couldn’t see that the sunk the Titanic. Today the newspaper announced the release of a “new report grading public education in Illinois…” (Daily Herald, Nov. 20, 2014). The report, titled “The State We’re In: 2014”, was published by Advance Illinois. The report said it looked at 55 metrics and, after comparing the metrics those from the other 49 states, found that Illinois got a grade of “C”. Using their logic, that means Illinois ranked in the middle of all 50 states overall. Not bad really, considering the terrible shape our finances are in (of course none of the metrics included the degree to which states fund schools – isn’t Illinois at the bottom there?). I always look at reports like these from well-funded education think-tanks with jaundiced eyes. Who is Advance Illinois? What’s their agenda? Where’s the money coming from? Of Advance Illinois’ 18 board members, one is listed as an “Instructional Support Leader” for Chicago Public Schools – the only K-12 educator on the board. At the end of the report Advance Illinois acknowledges 25 “education experts” for their help – only three appear to be from K-12 public schools. The Executive Director of Advance Illinois is Robin Steans. Look at the list of supporters below. Yep, the Executive Director is the daughter of one of Advance Illinois’ contributors. Is that a conflict of interest? How about Advance Illinois’ mission? In part it says it will be “an independent, objective voice to promote public education in Illinois…” One of their eight mission statements says, “Students and families should have choices in how to meet their educational needs.” Is it objective to promote charter schools as a solution? Wonder why support for charter schools is part of Advance Illinois’ mission? The Gates Foundation has given them almost $2.5 million since 2008. The Gates Foundation supports charter schools. The Joyce Foundation recently gave Advance Illinois $1.05 million. It also recently gave $700K to support the formation of charter schools in Illinois. 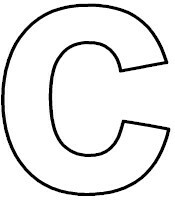 The report said that Illinois’ “C” grade was based on the comparison of 55 metrics. It was only 24. Seven of the 55 were just facts (i.e. number of schools in Illinois). Of the remaining 48 metrics, 24 had no data available for Illinois. So the “C” grade was given with half of the data missing. I actually like some of the things the report says (i.e. “Illinois is notorious for its inadequate, inequitable method of funding public schools”). But you have to be careful when reading reports like this from private organizations – you don’t know what their agenda is. And with well-heeled supporters, there is always an agenda.